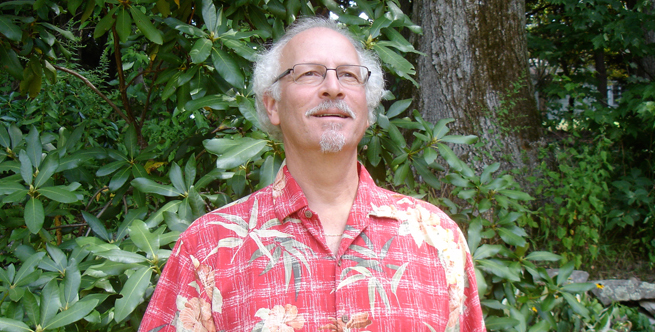 Dr. David G. Blumenkrantz Ph.D., Ed.M., LADC is the co-founder and executive director of the Center for Youth & Community, Inc. and the co-designer of the Rite of Passage Experience (ROPE). He is the author of “Fulfilling the Promise of Children’s Services: Why Primary Prevention Efforts Fail and How They Can Succeed.” (Jossey-Bass, 1992) and “Coming of Age the RITE Way: Youth & Community Development through Rites of Passage.” (Oxford University Press, 2015), along with numerous articles about youth and family issues for professional journals, newspapers and magazines. His blog “The Rite Way” has been syndicated by Social Justice Solutions and frequently re-posted. Since 1966, Dr. Blumenkrantz has dedicated his career to exploring, experimenting with and experiencing various cultures and communities in order to refine concepts around youth and community development. It was from his personal experiences through his own community-based cultural rite of passages that formed the basis for Rite Of Passage Experience ROPE and its guiding principles. While living with and learning from indigenous peoples throughout North America for nearly 20 years, he experienced firsthand their ancient ceremonies and rituals to strengthen and heal individuals and communities. These authentic experiences among others further developed a key lesson Dr. Blumenkrantz imparts for the vision to create positive experiences for young people. Across multiple pathways towards wisdom journeyed he has found that happiness and healthy outcomes for children transitioning through adolescence depends upon a connected community’s rituals and relationships. Helping children come of age through rites of passage, traced back over 70,000 years also strengthens a community’s resilience and capacity to adapt and change in order to survive and thrive in the future. It’s reciprocity. As part of his personal evolution, Dr. Blumenkrantz has worked on the front lines of education, community organizing, public policy and youth development for almost 50 years. He has helped organize groups and communities to foster healthy conditions for raising children and strengthen a sense of community. Teacher, youth service worker, and administrator for large and small, public and private youth and human service agencies, Dr. Blumenkrantz has a unique perspective as a practitioner and scholar. A sought-after seminar leader and public speaker, Dr. Blumenkrantz’s core framework and set of processes have been cited as effective agents of change in the community. As a result, Dr. Blumenkrantz has won awards and recognition from a wide variety of organizations including the National League of Cities and the Child Welfare League of America in recognition of the Rite Of Passage Experience ROPE as a model youth and community development strategy. He is also the recipient of the Connecticut Youth Services Association's Career Achievement award (1995) and ROPE received their Program of the Year Award (1989). Dr. Blumenkrantz has served on the legislatively mandated State of Connecticut Drug & Alcohol Policy Council, and on Connecticut legislative and agency-based committees on teen pregnancy, substance abuse and delinquency prevention. He served on Senator Dodd’s committee concerning children & families. He has also been a Visiting Fellow at the Bush Center for Social Policy and Child Development at Yale University where he worked with Professor Edward Zigler, founder of Head Start, on Schools of the 21st Century. He served as coordinator of professional development and evaluator for the Federal Government’s 21st Century Community Learning Centers and Learn & Serve programs through the State of Connecticut Department of Education, as well as professional development coordinator and evaluator of the state’s Youth Service Bureaus. He has been an advisor to the Search Institute's Center for Spiritual Development in Childhood and Adolescence and co-founder of the Connecticut Assets Network. Dr. Blumenkrantz holds a B.A. in psychology from the State University of New York at Buffalo, a Ed.M. in educational psychology from Boston College, and a Ph.D. in Community Psychology & Social Policy from the Union Institute. He is also a Licensed Alcoholism and Drug Counselor. For further information on Dr. Blumenkrantz’s published works, please visit our Resource section.